Whether you’re not sure what to do with all of those essential oils in your cabinet or simply looking for some fresh ideas, we’ve got you covered. Here is a collection of 50 fantastic essential oil recipes for your diffuser, gathered from around the web! Not got your own aromatherapy diffuser yet? 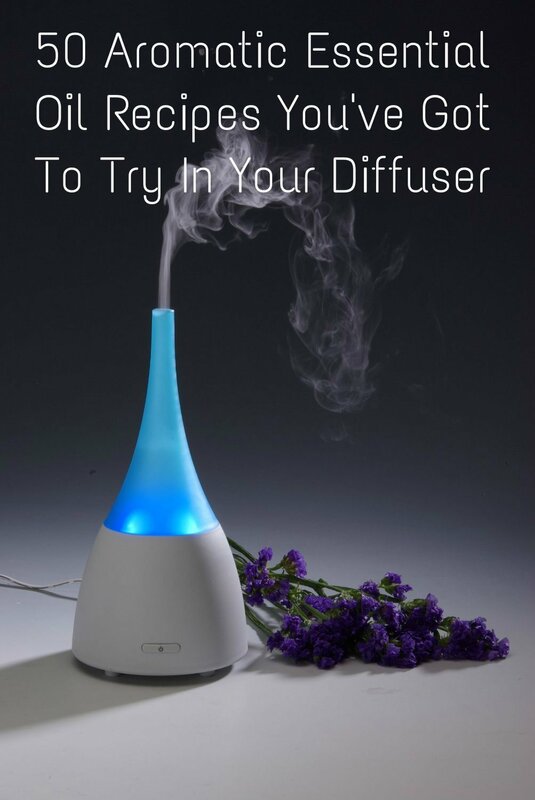 Find out which diffuser is right for you as we review five of the most popular on the market here: What Is The Best Essential Oil Diffuser? 5 Of The Most Popular Reviewed. Combine oils like Peppermint, Lemon, Rosemary, and Hyssop in these 5 diffuser blends by Aroma Web to improve concentration and memory. Try this Focus Blend from Laura on Green Living Ladies by combining 2 drops Frankincense, 2 drops Vetiver, and 4 drops of a synergy blend like Eden’s Garden Align or doTERRA Balance in your diffuser. Combine earthy oils like Frankincense and Ginger with powerful green herbs like Basil, Peppermint, and Rosemary in these 4 diffuser blends from Aroma Web to increase your energy levels around your home or at the office. Laura of Green Living Ladies offers her Energizing Blend combining 4 drops each of Peppermint and Wild Orange essential oils. Laura also recommends for Workout Time, diffusing 2 drops each of Peppermint and Grapefruit essential oils with 2 drops of doTERRA Slim & Sassy metabolic blend to increase vigor and performance. To boost the overall energy level in your environment, Birch Hill Happenings recommends mixing this Stimulating Living Room Blend of 8 drops Grapefruit, 4 drops Lavender, 4 drops Lemon , and 2 drops Basil essential oils in your diffuser. To set the perfect mood for a romantic encounter, try this Sweetly Sensual Diffuser Blend from Easy Aromatherapy Recipes. Combine 7 – 10 drops Sandalwood, 2 drops Vanilla, and 1 drop Jasmine or Ylang Ylang in your diffuser. To warm up the atmosphere in your home this holiday season, try the Cinnamon Spice Diffuser Blend of 4 – 6 drops Patchouli, 2 – 4 drops Cinnamon, 3 – 5 drops Sweet Orange, 1 – 2 drops Clove, and 1 drop Ylang Ylang essential oils from Easy Aromatherapy Recipes. Laura on Green Living Ladies suggests two great blends for celebration of the holidays. Fall In Love With Fall by mixing 4 drops each of Wild Orange and Cassia essential oils. Or mix up some Holiday Bliss with Laura’s blend of 2 drops each White Fir, Cassia, and Wild Orange essential oils. To keep the creepy-crawlies away, Jill of The Prairie Homestead recommends diffusing a combination of 1 drop each Lemongrass, Tea Tree, Thyme, Eucalyptus, and Rosemary essential oils. This insect-repelling blend from Easy Aromatherapy Recipes will also help to cool you down on a hot summer day. Diffuse a mixture of 4 – 6 drops Spearmint, 3 – 5 drops Peppermint, 3 – 5 drops Citronella, and 1 drop Lemongrass essential oils. When you’re feeling stressed, Aroma Web suggests these 4 diffuser blends using the soothing power of Lavender, Clary Sage, Vetiver, Citrus, and Floral oils. Take this edge off with this Calming Diffuser Blend from Birch Hill Happenings. Combine 4 drops Roman Chamomile, 3 drops Lavender, 2 drops Clary Sage, 2 drops Geranium, and 1 drop Ylang Ylang in your diffuser. For stress relief, Laura on Green Living Ladies recommends her Calming Diffusing Blend of 3 drops each of Lavender, Geranium, and Roman Chamomile, plus 2 drops each of Clary Sage and Ylang Ylang essential oils. Or try out Laura’s Stress Relief Now essential oil blend of 4 drops Lavender, 3 drops Clary Sage, 2 drops Ylang Ylang, and 1 drop Marjoram in your diffuser. To create a wonderful atmosphere when friends and family are gathered together, try this Entertaining Blend from Birch Hill Happenings by combining 3 drops Bergamot, 2 drops Geranium, and 3 drops Lavender essential oils in your diffuser. For a quick pick-me-up, Laura on Green Living Ladies recommends diffusing Be Happy, a mixture of equal parts citrus oil blend such as Eden’s Garden Simply Citrus or doTERRA Citrus Bliss plus a mood-lifting oil blend like Eden’s Garden Joy or doTERRA Elevation. Or try Laura’s Emotional Healing Blend of 2 drops each Wild Orange, Bergamot, Cypress, and Frankincense essential oils in your diffuser. To strengthen respiratory function during cold and flu season, Jill also recommends blending 1 drop each of Lemon, Lime, Peppermint, Rosemary, and Eucalyptus essential oils. On Birch Hill Happenings, Roberta Wilson recommends mixing this Cold Combating Blend, a combination of 20 drops Orange, 10 drops Eucalyptus, 10 drops Juniper Berry, 10 drops Pine, 6 drops Basil, 6 drops Rosewood, and 4 drops Ginger essential oil. When you feel a bug coming on, add a few drops to your diffuser to help your body fight it fast! For allergy symptom relief, Laura of Green Living Ladies offers her Allergies Be Gone blend of 2 drops each Peppermint, Lemon, and Lavender essential oils. To Purify The Air, Laura suggests adding equal parts of a citrus oil blend such as Eden’s Garden Simply Citrus or doTERRA Citrus Bliss plus a cleansing oil blend like Eden’s Garden Purification or doTERRA Purify to your diffuser. Laura of Green Living Ladies also delivers a blend to help you Breathe Easy during cold and flu season. Combine 4 drops of a respiratory blend like Eden’s Garden Breathe Easier or doTERRA Breathe with 2 drops each of Eucalyptus and Peppermint oils. To create a relaxing atmosphere, Lisa P. of Birch Hill Happenings suggests diffusing her Basic Calming & Relaxing Blend using 2 drops each of Lavender, Marjoram, and Orange, with 1 drop each of German and Roman Chamomile. Birch Hill Happenings also suggests creating A Great Relaxer and Soother by combining 6 drops each of Grapefruit, Bergamot, and Lime, as well as 4 drops Ginger and 2 drops Sandalwood essential oils in your diffuser. To create a soothing atmosphere that will help you wind down at the end of the day, try the Floral Lavender Diffuser Blend from Easy Aromatherapy Recipes combining 8 – 10 drops Lavender, 2 – 3 drops Palmarosa, and 2 – 3 drops Rose Geranium oils. In the evenings, to aid with falling asleep, Jill of The Prairie Homestead recommends diffusing a blend of 1 drop each Bergamot, Lavender, Patchouli, and Ylang Ylang essential oils. Aroma Web suggests this diffuser recipe using Roman Chamomile, Clary Sage, and Bergamot to help you relax and get a better night’s rest. Turn down the noise at the end of the day with Laura of Green Living Ladies‘ Sleepy Time blend of 2 drops each Roman Chamomile and Wild Orange essential oils, plus 4 drops of a soothing oil blend like doTERRA Serenity or Eden’s Garden Good Night. 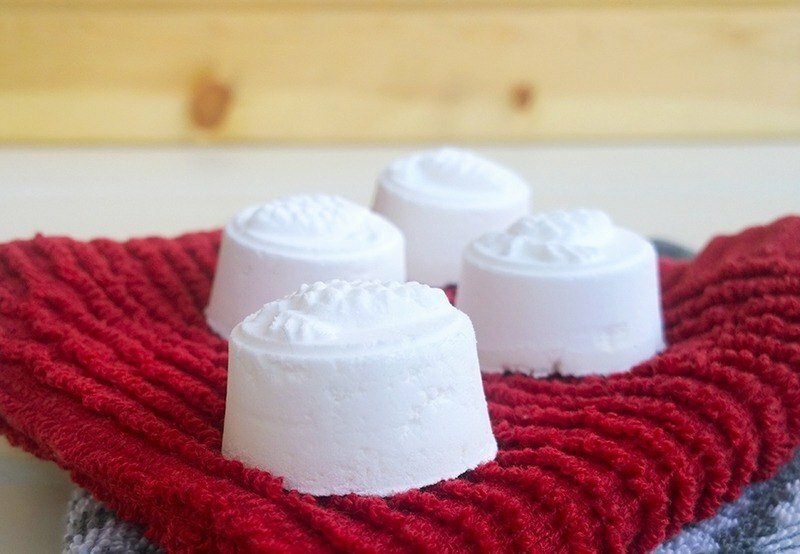 Want to try these aromatherapy recipes for yourself but not got a diffuser? Try this Bellasentials Essential Oil Diffuser – one of the best rated essential oil diffusers on Amazon and our top pick when we reviewed five of the most popular essential oil diffusers on the market.